"My Team & I Just Don&apos;t Find Homes. 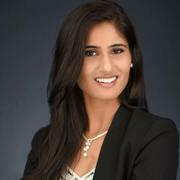 We Find Dreams"
Shital Patil takes’ pride in finding some of the best homes in the city of Houston and Sugar Land, TX. Our team will understand your needs and wants in a home and find the right house for you in our network and our real estate listings. We are always on the lookout for buying trends, those hidden gems and those unique homes that will be a definite buy. Our team is proud of our reputation with having over 30 years’ experience in the industry and surpassing over $800 million in real estate sales. It’s no wonder Shital Patil and Aida Younis team is one of the most popular real estate agents to go to when it comes to buying and selling homes and properties in Sugar Land, Missouri City, Houston, Richmond, and more. Our team has been a professional Houston and Sugar Land Real Estate agent that has been serving home buyers and sellers for over 30 years. Our team is renowned for finding quality & smart real estate investment in Houston, Sugar Land, Missouri City, Richmond & more for long or short term home buyers. Our team is renowned for our quality work and knowledge of real estate. Our real estate team believes in providing buyers with quality and knowledgeable buyer information. With our abilities to find analytical information we are able to provide buyers & sellers with the real estate information they need in order for them to become successful with their overall real estate investment experience.